1. Stainless Steel Material. In order to accelerate the breaking and separation of wood fiber in the process of making paper pulp, auxiliary chemicals added are usually corrosive to a certain extent. The screen basket is a device that will directly contact with the pulp, so the screen basket needs to have good corrosion resistance. Secondly, in the process of operation, the pulp will impact the screen drum, so the screen basket material also needs high fatigue strength and friction resistance. So the screen basket are made of stainless steel. 2. Good Appearance. Screen basket is a kind of cylinder equipment with screen holes, so its shape requirements are higher. The shape of screen basket produced by our company is flawless, which can improve work efficiency and reduce maintenance cost in the production process. 3. Smooth Surface. 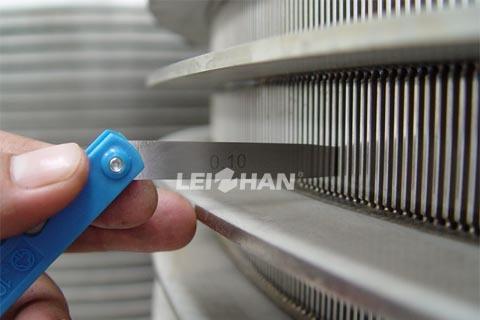 If there are burrs on the surface of the screen basket, it will not only prevent the pulp from passing through the sieve hole, but also make some of the pulp stick to the surface of the screen basket, which will cause the stack of the pulp to block the sieve hole, seriously hindering the normal operation of the equipment.